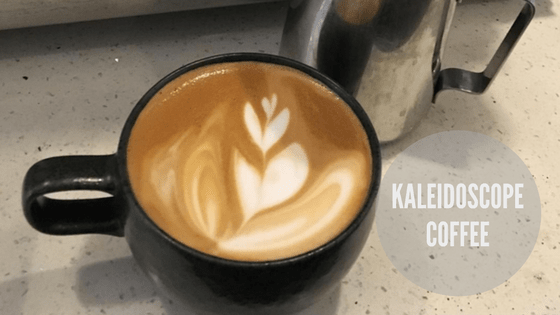 Did You Visit Kaleidoscope Coffee? Let Kaleidoscope Coffee know why they're great—and if there's anything else you would like from them (your feedback will be shared with 1951 and your kind words may be featured on Kynder, superstar!). May we share your email address with Kaleidoscope Coffee please? Thank you for taking the time, your valuable feedback shall be a force for good. Cheers! Just across the bay from San Francisco in charming downtown Point Richmond, you'll find Kaleidoscope Coffee. Kindly serving artisanal coffee, teas, light fare and Tara's organic ice cream, Cassie and her team invite you to come make yourself at home. Settle in to a window seat or cozy up on a sofa in the reading nook with a good book. You'll also find a library to choose from, because storytelling is at the heart of Kaleidoscope Coffee, as well as the creative arts in general... also made evident by the artful interior design. In the evenings you'll find live music, open mics and storytelling. All are welcome to come hang out, participate, have a glass of wine, connect and feel like a part of the community. Organic, fair trade and locally sourced products including Wrecking Ball Coffee, Steep Tea Co, Quiche & Carry, and Tara's Organic Ice Cream. Energy conservation practices including energy-efficient lighting. Waste management practices with separate bins for guests to compost and recycle. Community open mics, monthly storytelling, and music. Staff benefits: Full minimum hourly wage for tipped and non-tipped staff, paid sick days (or time off in lieu) for hourly employees, comprehensive training program, advance scheduling for all employees (at least two weeks in advance), fair overtime practices, fair maximum work hours.